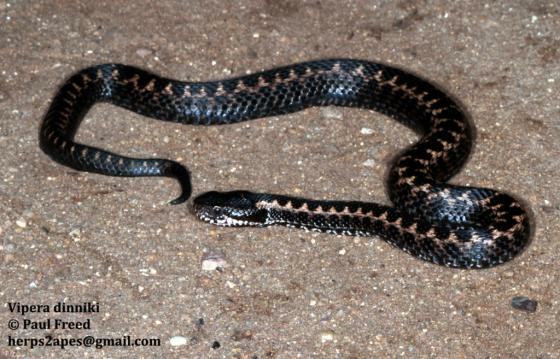 Can you confirm these amateur observations of Vipera dinniki? Comment Venomous! Synonymy mainly after KHALIKOV & ANANJEVA (pers. comm.). This species does not fall into the Montivipera clade as defined by GARRIGUES et al. 2005 but rather in the Pelias clade. Nor a Montivipera fide Wüster (pers. comm.). Etymology named after Nikolai Y. Dinnik (23 June 1847 - 21 September 1917) - Russian scientist, researcher nature of the Caucasus, and geographer.